It’s raining jobs for data enthusiasts! IBM has predicted that the demand for data science professionals will increase to 28% by 2020. There is immense data around us and industry requires experts who can make sense out of them and bring them into use. There will be close to 700,000 openings for fast-growing roles like data developers, data engineers, and data scientists by 2020. Another interesting fact - it takes up to 45 days to fill in job positions for roles in Data Science and Analytics, which is five days longer than the average wait-period for hiring the right candidate in other industries. What does it mean? That the demand for data science professionals has surpassed the supply. Probably the most sought-after data science job today. Ever since the US government named DJ Patil as its Chief Data Scientist, this role has earned the status of a data wizard. With a gamut of role under its umbrella, the skills lie in computing data, predicting and visualising models, and furthering the insight with a storytelling, yet compelling ease. Have those all? Microsoft, Google and Adobe might just be the next stop! The ability to sniff-and-search the tiniest of information out of the available data, makes a Data Analyst highly sought after by the likes of IBM and HP. Expertise in languages like R, C, Python, and SQL come as natural to them, and helps them perform complex statistical data analysis for the organisation and the different departments therein. The rise of data science means a rise in the need for data management systems. There comes the need of the Data Architects, who create blueprints for different systems to integrate, centralize, and thus provide warehousing solutions. The role is critical as it includes protection of all the confidential data. Coca-Colas and VISAs of the world look around keenly for such database architects. Mostly a software engineer with the ability to master technologies, this role is considered the jack of all trades. Understanding of diverse set of languages like SQL, Hive, Pig, R, Matlab, SAS, SPSS, etc., as well as the skills to develop, construct, test and maintain them, make them a go-to person by the likes of Facebook, Amazon and Spotify. The classic! Although replaced by fancier names in the recent times, this historical role still holds strong ground when it comes to getting knowledge out of data. The ability to harvest information out of data, and the skills to statistically methodise them helps businesses transform. LinkedIn, PepsiCo, and the likes hound for such mathematicians! Someone has to take care of all those important data. There comes the role of the administrator; making sure the data is protected, performing properly and available to relevant users whenever necessary. The innate skill of disaster management, coupled with the eye for new technologies, helps the administrator ensure complete data protection and recovery, and earn a place in Reddit, Tableau, or Twitter. As the bridge between technology and the business, the role demands of deep knowledge of different business process. While only the basics of tools and technologies are necessary, the role does require the skills to link the data insights with different businesses across the organisation. Companies like Uber, Dell or Oracle have taken giant leaps with support from this role. 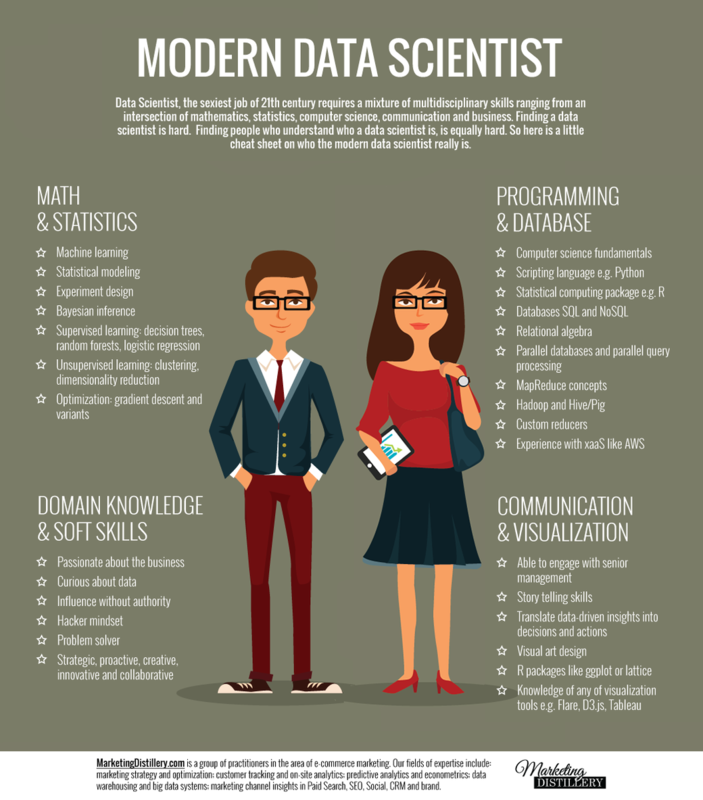 The rise of data has surely opened a new gamut of opportunity for data science graduates. The above list tries to shed some insight into different roles available in the industry. There is bound to be some overlap, or some different nomenclature for the same roles. Nonetheless, the future looks bright and shiny for the data enthusiasts!